/ Keep it simple / Hummus! Since my friend just had a baby, I want take some food along with me, so that she has it more easy and doesn’t have to prepare all the food. I decided to make hummus, which is simple and versatile, and can be used as an appetizer or as main dish too, combined with some veggies. Cook the chickpeas as described on the package (if they ar dried, th usually require 24 hours ammollo in water (double their volume of water, before cooking for about one hour, or until they are tender). Salt? bicarbonato, alloro. Put a bit of EVO in a pan and add the garlic and the cumin and let them toast for a couple of minutes. 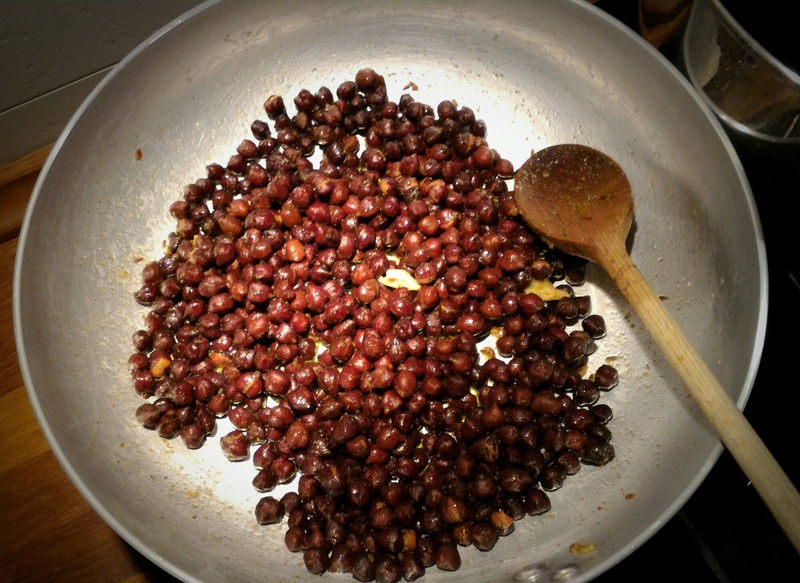 Add the chickpeas and let them for 3 more minutes while mixing, so tutto si isaporisce. Then put everything on the mixer and add the lemon and the tahin, and more oil, if needed. The result should b creamy but quite thick, and can be served with paprika or parsley. looking forward to eat it.